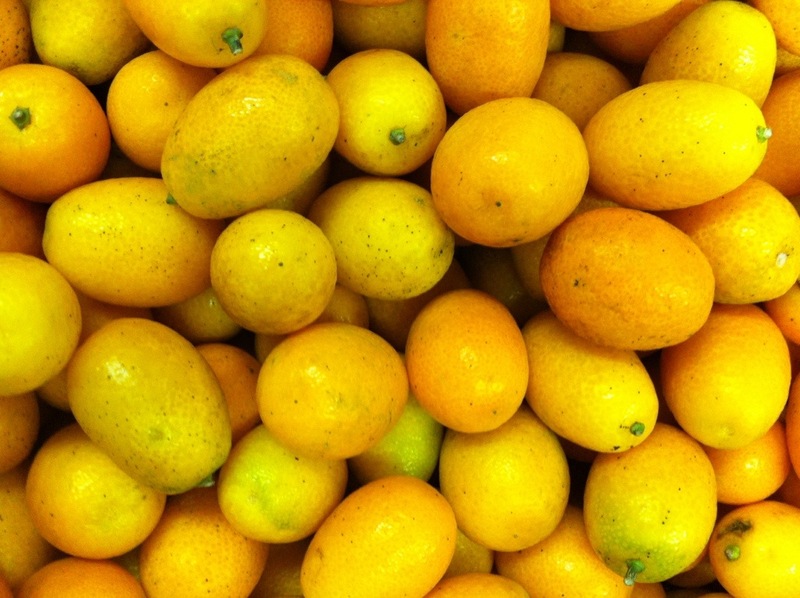 When you are deep into citrus season you need to take advantage of everything that you have, and next to Meyer lemons, kumquats are on the top of the list for must haves during the winter months. This recipe will require a little bit of your time but the finished results is a sweet and tart marmalade with the perfect amount of rind. Kumquats can be eaten fresh, and whole, some have large seeds and others have very small seeds. They have a tart flesh and a very sweet skin and rind, when cooked together they create a perfectly balanced marmalade. 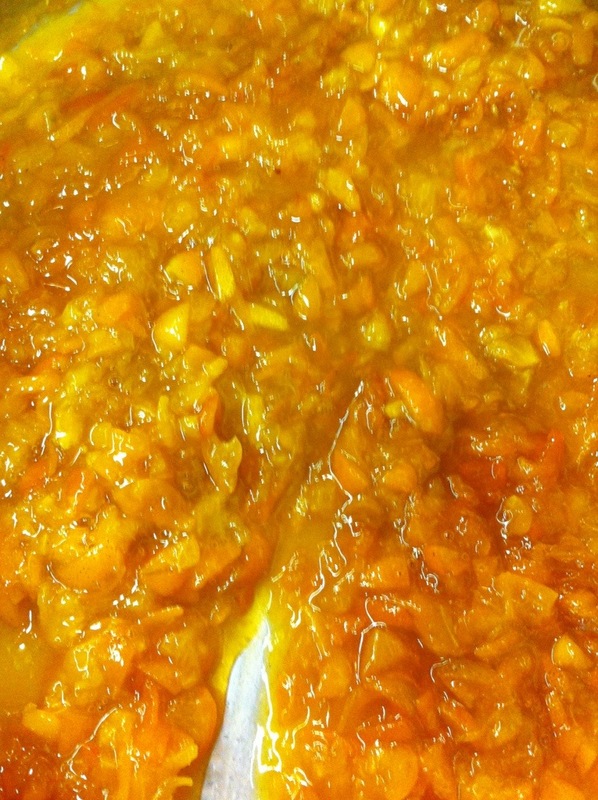 The most tedious part about making a marmalade is peeling the oranges and cleaning the pith to ensure that you will not get a bitter product in the end. Kumquats are beneficial in that area as they can be eaten whole and they balance very nicely. They still need to be cleaned of all the seeds and cut into smaller pieces to make a palatable marmalade. Begin by washing your kumquats and quartering them, you can either remove the seeds as you do this or quarter all of them first and then remove the seeds, regardless, it will take a little time. Once they have been cleaned of the seeds, rough chop the kumquats. Combine half of your sugar and all of the apple pectin, set aside. Combine the orange juice, kumquats, water, and the remaining sugar in a large pot, turn the heat on to medium. Once the marmalade begins to simmer, cook for roughly five minutes, turn down the heat if necessary to maintain a simmer. Check to see if the kumquats are soft, if not continue to simmer until they are. Once softened, whisk in the sugar and pectin mix. Simmer for another five minutes and check the consistency on frozen plate. It will set up semi-firm on the plate when ready. 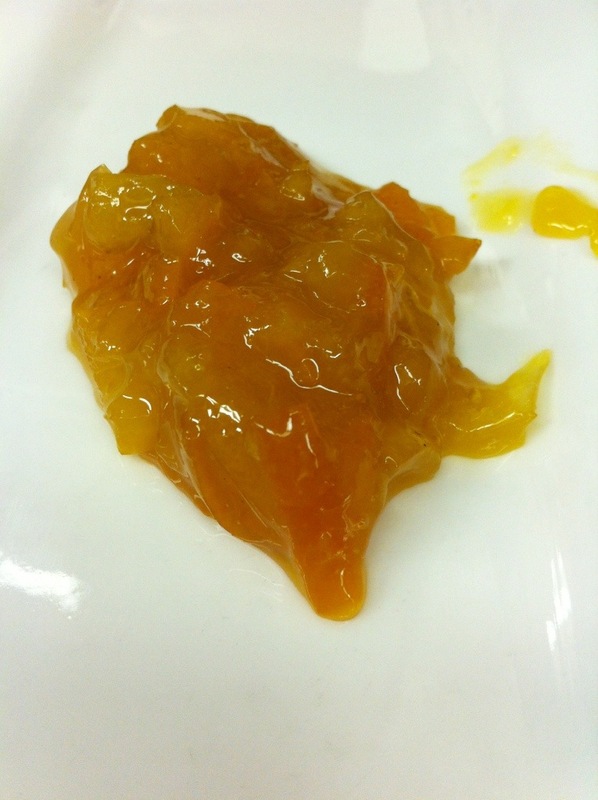 This plate test shows that the marmalade is ready to come off of the heat. This marmalade will go great on toast, foie gras, or served on a charcuterie board.